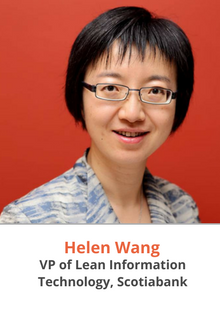 Helen has also led a similar programs in Global Wholesale Operations group. Prior to that, Helen was the Deputy Head of Global Analytics and Financial Engineering group for Global Banking and Market where she has led numerous high complexity and high priority initiatives which included technology implementations, new business development initiatives, acquisition due diligence and integrations, as well as regulatory response. Meet Dr. Steven Murphy, Dean Ted Rogers School of Management Meet Yvonne Ruke Akpoveta, OliveBlue Inc.